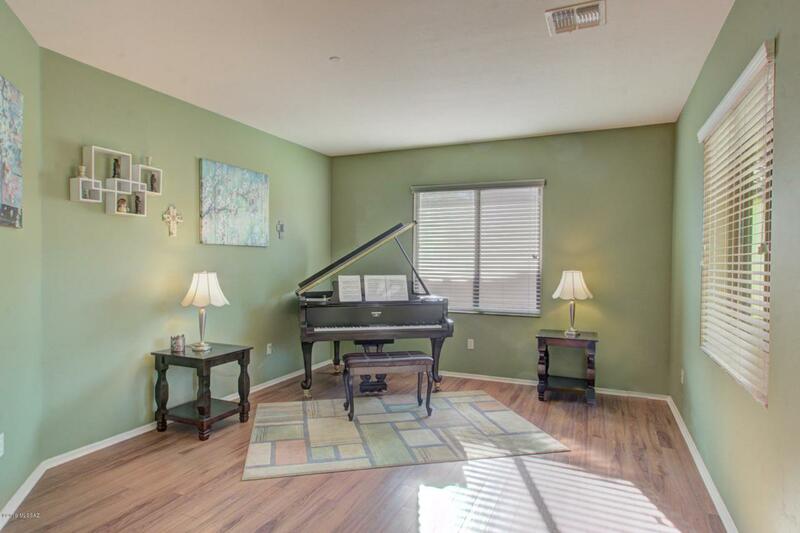 Located in a desirable gated community and built by D.R. 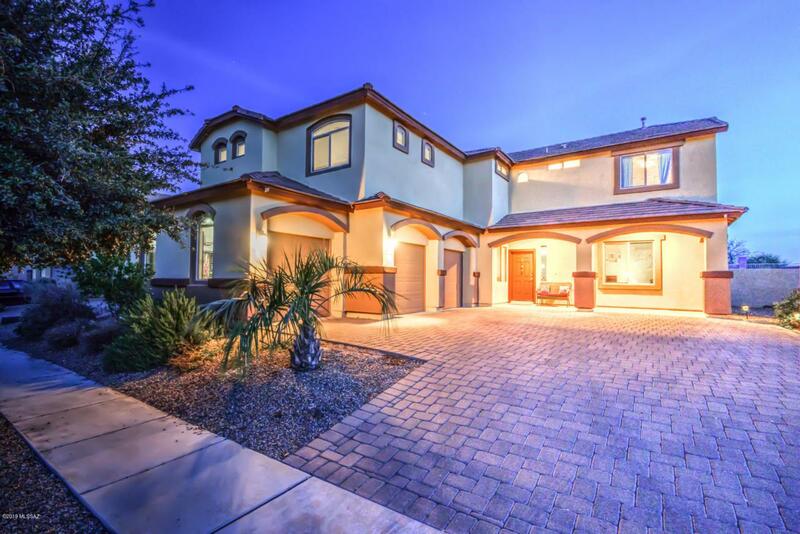 Horton, beautiful 5BD, plus Super Loft/3.5BA, 3,861 sq. ft. with a 3 car garage home welcomes with a formal living and dining area that is adjacent to a spacious family room and kitchen. Downstairs is also an office/den, a half bath and a laundry room. Kitchen features stainless steel appliances, granite counter tops, an island breakfast bar, a breakfast eating area; plenty of cabinet space with pull out drawers and a spacious pantry. Upstairs is a Super loft, 5 bedrooms two hallway full baths with showers/tubs and one hallway full bath with double vanities. Double doors welcome to a spacious Master Suite with a walk in closet and master bath featuring a garden tub, walk in shower and double vanities. 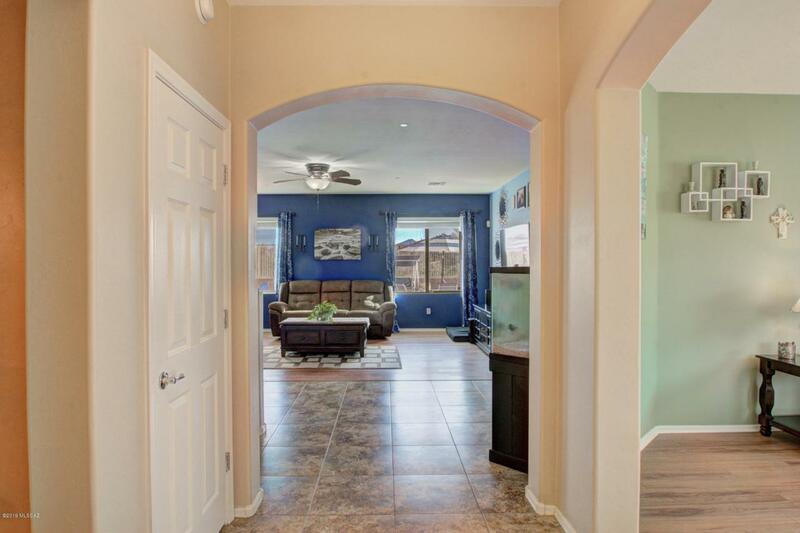 Relax outdoors under a coveredpatio with NO rear neighbors, Santa Rita mountain views, a fire pit and a pool. 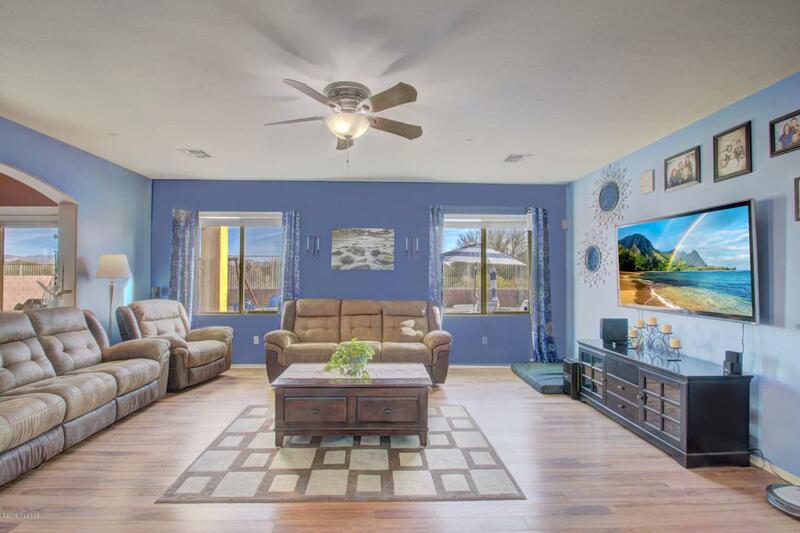 Enjoy all the amenities that Rancho Sahuarita has to offer from a fitness center, community pools/water splash park, dog park, running & jogging paths, Sahuarita lake, schools as well as nearby shopping & dining places.